In corporate world, organizations that attract stakeholders for investment are esteemed for their growth prospects and their potential. But in the world of recruitment, the candidate should value himself in terms of their future and present worth to the prospective employer. A person in the field of Human Resources is a professional who has expertise and training in the various aspects of recruitment, including administration of benefits, adherence to laws like employment, statutory etc. The person applies his knowledge and skills in working with the organization and maintains the staff – current as well as future. When the employers wish to assess your worth, they need to see some proof of your talent, their worth for their organization, especially if you are a fresher in that particular role, HR in this case. It means that the employee should exhibit the skills that they need in their HR employee if you wish to be in their consideration. The candidate needs to understand the qualities that are needed – both technical and physical ones. Human Resource Personnel have a long list of work to do. Their list is never ending and daunting. Their responsibilities include making of arrangement and conducting interviews. Candidate recruitment, departmental co-ordination and also updating themselves on the latest development in the field of laws related to their field. Another important role is to be a counselor and confidante of the employees on issues that affect them. As mentioned above, to complete such a list of work, and that too on a regular basis, the HR person needs to have the ability to multitask and still maintain composure at all times. Human Resource person recruits peoples who suit the company’s requirements. He should be ready to speak to candidates at various events like trade fairs, campus placements and at social platforms. To be able to address so many people, he needs to have public speaking skills. Human Resource persons need to examine a lot of documents, gather the information by understanding their meaning, processing that information and then analyse the eligibility of that candidate. The documents may be related to applications, salary slips, comparisons, covering letters, resumes and statutory compliance forms. The person should be able to assess the need and the eligibility so that the suitability can be established and action can be taken. The person needs to shoulder a lot of responsibilities. These include that of a leader also at times. Whenever there is any conflict in employment terms, protocols, employees as well as the management person looks up to the Human Resource person. They need to work with the managers so that they can accurately understand the staffing needs and then outline requirements for future positions along with maintaining the current existing employees. HR person should maintain a database wherein he is able to source out an employee needed at urgent basis. Handling so much of work where even the seniors look up to you, needs great deal of leadership skills, that of a corporate leader. As mentioned in the above point, HR person needs to estimate the future staffing needs of the organization. They live in the future as they maintain records of existing employees but as they need to estimate future needs, they should be able to anticipate the future to some extent. Updating of corporate plans, creation of new marketing plans and other developments should be analyzed to estimate this need and they should be also be able to create a vision. R person needs to take decisions about the candidate’s eligibility, suitability and then decide. He needs to have expert knowledge in all kinds of issues only then can he understand the professional requirements adequately. The HR person is the first impression that the candidate gets about the organization and hence needless to say, should be professional in his approach and be able to gain commitment from the candidates. Also, he needs to gain co-operation of all departments in order to derive maximum benefit for the organization. Hence should be collaborative. The HR person needs to be curious as only an inquisitive, curious mind who seeks answers and new innovative ways to develop the organization, its human resources can best fit this post. The person should be delivery driven who focuses on getting the best result for the organization and utilizes all resources to attain the objective. HR needs to be comforting and honest at the same time as he is the link between employees and the management. The ability to speak up, be courageous and not afraid to say what is best for all. He/ She should set an example for others. Employees strengthen the relationship between employer and employee and if you have employees that do this, they are helping your business to become successful. The Human Resource person needs to have the ability to identify and solve employee concerns as soon as they start arising. This can be highlighted by asking the HR person a question which deals with the same like- if involved in such a situation, how the candidate would solve the discrepancy. A hypothetical situation can be given and the employee should be asked to solve it treating as a real life situation. This will show the problem solving skills of the candidate for the post of Human Resource Personnel. A major area of work of the HR person is to search and recruit new talent. If the HR candidate cannot connect easily with new people, cannot uncover information, put his point across clearly and negotiate by being persuasive and strict at times, he will not fit the post of a good Human Resource person. If he can do all this, he is well prepared to handle the job and important task – recruitment. This field requires not only a formal education in Human Resource Management but also experience in handling people. While skills such as critical thinking, good communication, leadership are valuable, it is important that the person has a firsthand experience in handling people, being able to put them together. 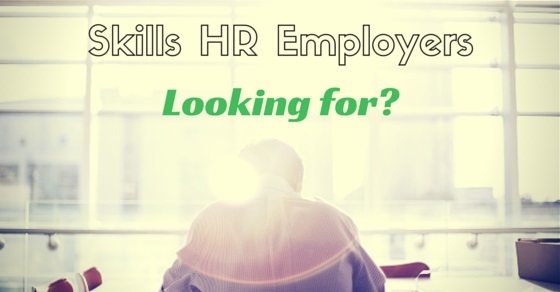 The HR person is expected to provide assistance to a number of functions inside the organization such as data recording, administration of assessment and activities related to staffing. He should be flexible enough to shift priorities, make arrangements on behalf of the team and be ready to perform duties that go well beyond the normal job description. It also speaks a lot about the support given by HR professionals and expected of them. A Human Resource Professional should be knowledgeable in business operations, fundamentals as well as principles. It will provide the person a deeper understanding of how the business functions, how his actions and role impact the organization. Another role of the HR is to communicate with the employees and seniors and being able to communicate with them, making them feel appreciated, awarded and valued not only increases their productivity but also increases the confidence level of the employees and impacts the organization positively. The person should also be able to focus on success collectively over individual achievement and maintain transparency at the same time. When communicating with both groups of management and employees, he should be able to keep them separately satisfied. Human Resource person should ensure that recruitment results in cost saving. The cost related to replacement of workers, hiring of new workers including their training can be exorbitant for the organizations. However if the Human Resource personnel goes with a well planed procedure, he can minimize the costs. It might be related to advertisement of job posting, training or any other matter. A person with a knack for cost saving will be successful in this role. Performance improvement is also a critical part of business management and development. If the employee gets stuck in a job that doesn’t suit his skills or is not suitable for him personally, he goes to the HR person for a profile change or to get the problem solved. The Human Resource person explains the reasons for his performance fallout, analyses them and accordingly handles the situation. For businesses which are small and for large conglomerates, human resource function is of utmost importance. It is much more than processing of payroll of handling of enrollment processes. They play an essential, critical role in development of company’s strategy and handling the activities which have employees at their centre. A person who has the above qualities is the ideal candidate that all HR employers are searching for. Next articleHow to Build your Personal Brand on Facebook?